WHAT CAN USP OFFER YOU? 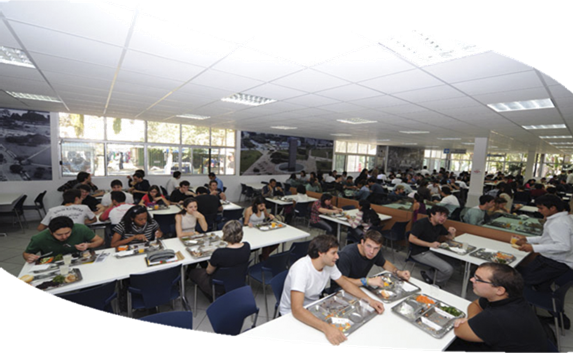 The campuses of the University of São Paulo offer restaurants, known as “bandejão”, for the use of students, employees and visitors. The price of the meals for students, faculties and visitors is affordable and even offered on weekends. Therefore, it is necessary to be regularly enrolled at FMVZ/USP to receive the USP Card, which will need to be charged with the amount to be used at Superintendência da Assistência Social (SAS). In Pirassununga, the place to charge it is next to the restaurant. It is important to point out that USP classes are taught mainly in the Portuguese language. Therefore, it is important to have basic knowledge in the language prior to the beginning of any academic activity at FMVZ/USP. The USP Language Studies Center offers Portuguese courses only in São Paulo campus. Thus, we will provide to exchange students a basic online course of Portuguese which will be offered between the first and second month of exchange at USP. 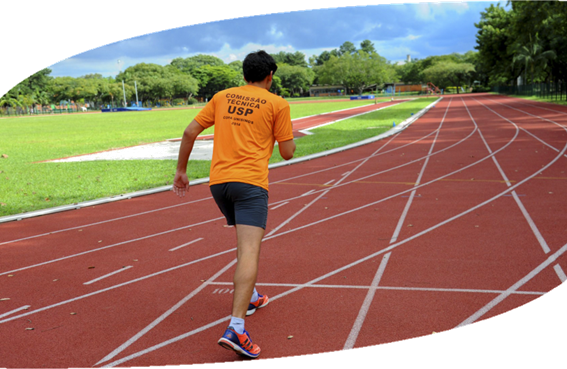 The USP Sports Practice Center (CEPEUSP) is located in São Paulo campus and offers several sporting modalities for USP students and visitors, provided they are regularly registered with FMVZ/USP and bear USP registration numbers (provided on the back of the USP card). To access CEPEUSP, the USP Card and Passport must be presented (only in the first registration). Located in Southeast Brasil, State of São Paulo, USP with na área of approximately 249000 km², including all campi (São Paulo, Bauru, Lorena, Ribeirão Preto, Piracicaba, Pirassununga, Santos and São Carlos). School of Veterinary Medicine and Animal Science (FMVZ) is located in two of these campuses: São Paulo and Pirassununga. This campus has a built area of 65,559m², with excellent infrastructure, Veterinary Hospital, Museum and several laboratories. Founded in 1954, the city of São Paulo, where the main campus is located, is the richest in the southern hemisphere and the 6th most populous in the world with almost 12 million inhabitants. It occupies the 12th position in the world in the accomplishment of international events and offers great gastronomic diversity, numerous possibilities of leisure, entertainment and cultural activities. The campus, a farm with an area of 2,269 hectares, is the largest of USP in territorial extension. It has two colleges and offers one of the best infrastructures in the area of animal production in Brazil, where part of the practical classes of the course are held. Pirassununga is a city in the interior of São Paulo, 207 km away from São Paulo and with a little more than 70 thousand inhabitants. It offers several restaurants specializing in freshwater fish, ecotourism, parks, waterfalls and excellent leisure structure. It is one of the best cities in Brazil in quality of life. Source: USP e Prefeituras de São Paulo e Pirassununga. Students regularly enrolled at FMVZ/USP are entitled to access USP wireless internet. To do so, request your username and password on the wireless VPN/USP system. For externships students and visitors, USP suggests access through Eduroam (education roaming). Access EDUROAM at USP to verify if your home university is a participant. If it is, access the internet with the same login (registration number and system password) used at your university. If not, contact them to see how they can attend Eduroam. USP does not offer lodging for students or visitors in São Paulo city. After a period staying in São Paulo or Pirassununga, the student will be familiarized with the best areas and price options for a place to live in, and which better meets your needs. At Pirassununga campus, a student lodging reservation will be possible, if available. Please, contact us beforehand to check out for availability and booking. In the student lodging of Pirassununga the daily rate is affordable, including bed and bath clothes in a shared room with bathroom. The campus also offers guest houses for teachers, researchers and international visitors. Please contact us in advance for more information. CCInt-FMVZ can also provide a list with some options for housing and hotels in Pirassununga. Foreigners in exchange at FMVZ/USP must have International Health Insurance valid for the entire period of mobility. This can be chosen by the visitor, provided it includes all medical expenses, repatriation, among others. Travel Insurance is not International Health Insurance! Even if your insurance covers travel expenses, make sure it also includes health requirements. This is a mandatory document, to be requested by CCInt-FMVZ when the mobility starts. After you purchase your International Health Insurance, it is important that you also know how to use it when necessary. Consult the company for more information. Source: USP Agency for National and International Academic Cooperation. In an emergency case, USP has the University Hospital (HU-USP), located in São Paulo campus, where emergency services are offered to foreign visitors who are doing exchange. To use it, the foreigner must inform his/her USP number, available on the back of the USP Card. For emergency care in severe cases, it is advised that the Mobile Emergency Care Service (SAMU) be activated as soon as possible, through the telephone number 192, for referral to the HU-USP. In the case of an emergency, USP has the Basic Health Unit (UBAS), located in the Central Building of the Pirassununga Campus, which corresponds to an extension service of the Unified Health System of the University of São Paulo (SISUSP ) for medical and dental care to all USP community. To use it, the foreigner must inform his/her USP number, available on the back of the USP Card. For emergency care in severe cases, it is advised that the Mobile Emergency Care Service (SAMU) be activated as soon as possible, through the telephone number 192, for referral to the UBAS. You can go straight from the airport to the FMVZ/USP or to your lodging place/housing by taxi. Use the service of companies inside the airport, which calls Guarucoop. For your safety do not take taxi with strangers. When in a taxi, you will have to pay what is displayed in the taximeter, since the ride cost is not pre-fixed. Normally, a ride from the airport to USP region costs around R$130,00. 4th) Get off at “Butantã” station. Outside the station there is a bus terminal, on Vital Brasil Avenue. You can take one of these buses below to go to FMVZ, or take a taxi to drop you off at your lodging/housing. At the beginning of mobility, will be delivered to students or teaching/visiting researcher, the bus card from the University of São Paulo, the BUSP. Regular students, who study subjects, can obtain the Single Student Ticket, valid for all transportation in the city of São Paulo. Students who will take a course will not receive this benefit.